Even if you're not much into horse racing, Baltimore's Preakness Stakes -- the second leg of the Triple Crown races, always held on the third Saturday in May -- offer a rousing reason to gather friends for a dinner party. Because the Preakness is so entrenched in Maryland's culture, take cues from the Old Line State, as well as the history of the race itself, for the festivities. Horses run the Preakness Stakes at Baltimore's Pimlico Racetrack, the second-oldest racetrack in the U.S. If your dinner party is a formal affair, take inspiration from the scenes of Baltimore and Maryland for the invitations. Decorate with the Maryland flag, iconic with its busy designs of red, yellow, black and white, as well as Black-Eyed Susans, the official state flower. Maryland is well known for blue crabs, another potential decorating theme. Of course, decorating with horse or racing themes is appropriate for a Preakness dinner party, too. 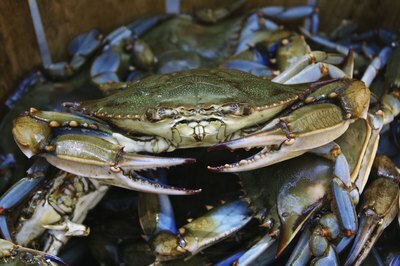 Make sure no one in your dinner party has a shellfish allergy because it only makes sense for blue crabs to take a starring role on your menu. Start with crab dip, a Maryland staple, or Maryland crab soup, which is a tomato broth-based soup with vegetables and flakes of crab meat. For the main course, serve crab cakes or, for those disinclined to shellfish, offer Maryland pit beef or fried chicken. For dessert, set out a Smith Island Cake, the official Maryland state dessert -- a confection made of 10 thin layers of cake alternated with frosting in myriad flavors. While it's tempting to serve mint juleps for a horse race, remember that the bourbon-based drink is the icon of the Kentucky Derby, the first race in the American Triple Crown. The Preakness' official drink is the Black-Eyed Susan, named for the state flower, and it's a blend of vodka, St. Germain and pineapple, lime, and orange juices. 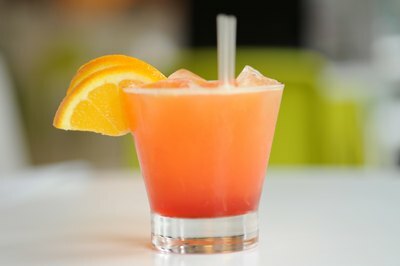 Garnish the cocktail with a fresh orange slice. For other beverages, offer cans of National Bohemian, affectionately referred to as "Natty Boh" in Baltimore, as well as a selection of Maryland-made wines, if you can get your hands on them. 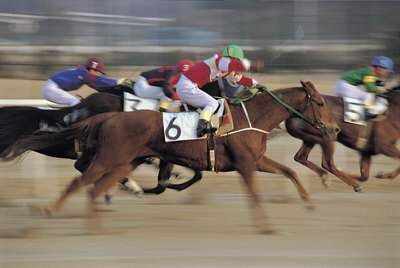 Horse races happen so fast that, if you're not on the ball, they're easy to miss while you're having fun. Set a timer for minutes before the race begins so you're sure to turn on the TV. Encourage some friendly wagers by setting up baskets dedicated to each horse. Give each guest one ticket, which they can put in the basket of the horse they think will win. 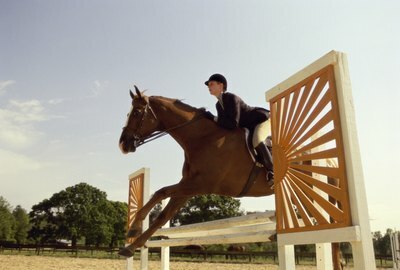 At the end of the race, choose a ticket from the winning horse's basket; the person whose ticket is chosen gets a prize.